Put keyboard and mouse back in cabinet and lock it to prevent unauthorized use. Insert your thumbdrive into the “golf ball” looking dock on shelf. Press the big silver button. When finished, press big silver button again to stop recording. Note: There is a 5 second countdown before recording begins. DO NOT look at the monitor when recording, as there is a lag which can be distracting. 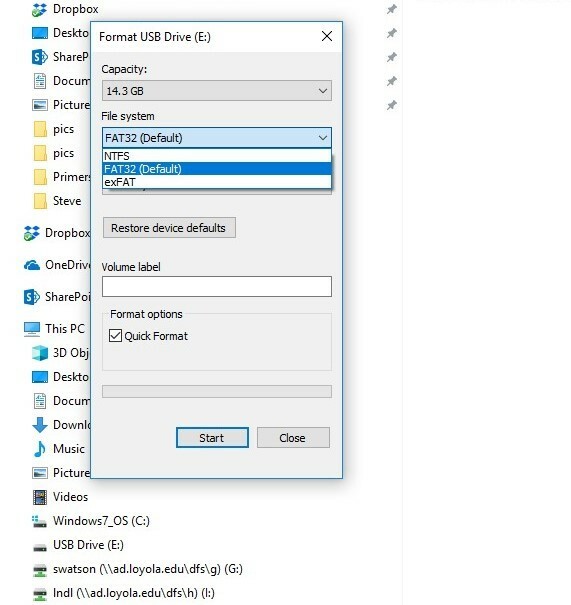 Flash drives must be formatted as FAT32 or HFS+ in order to be used with the One Button Studio. Other formats will not work. Note: SD cards with adapters and novelty flash drives do not work in many instances. 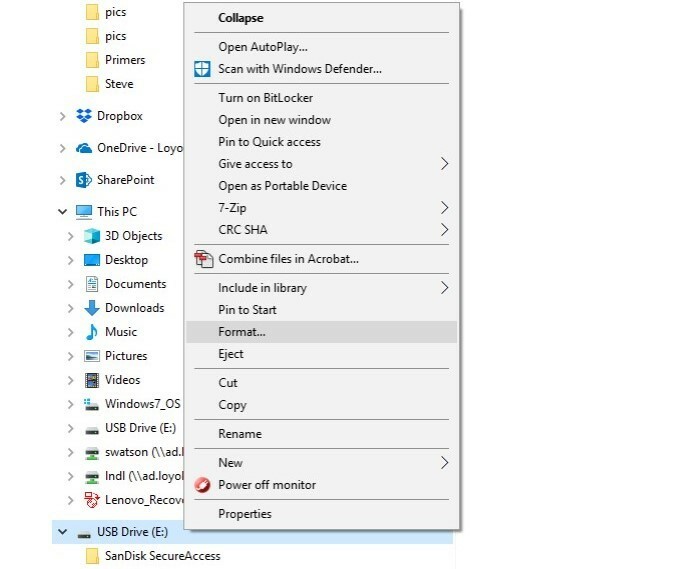 Insert thumbdrive into computer and navigate to file explorer. 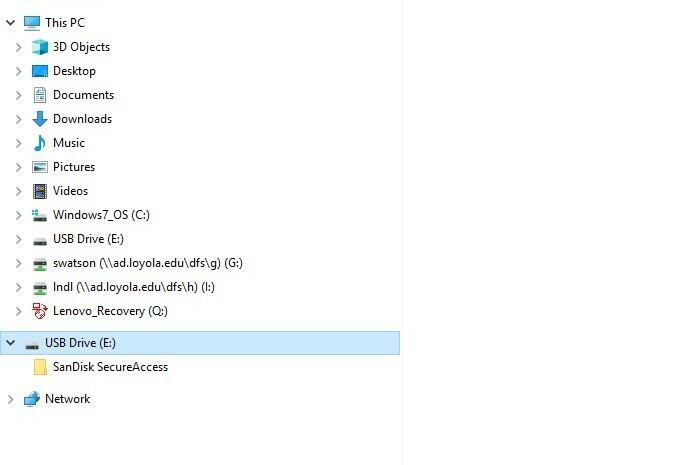 Under “File System”, choose FAT32 or exFAT, then select “Start” make sure “quick format” box is checked.